Tail sculpted without molds; body glittered. A princess of the sea was so beautiful that the stars settled on her sun-kissed brow, giving to her a name. 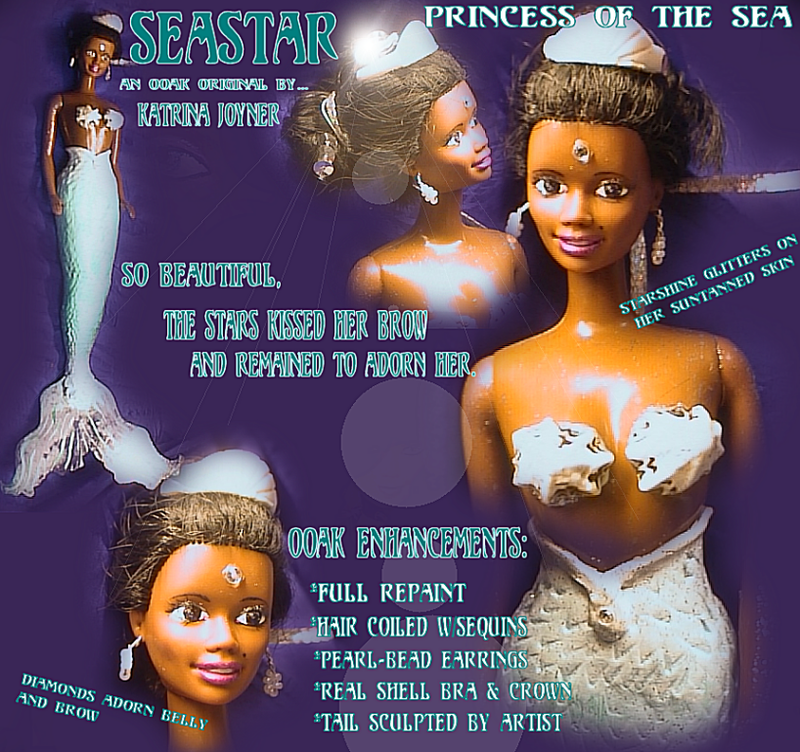 Seastar is the most glittering of all mermaids, always smiling... just like the stars who blessed her.